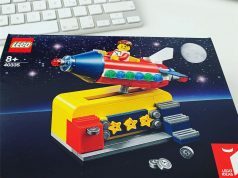 Today is the official release of the LEGO Ideas Ship in a Bottle (21313) and we are proud to bring you a review of this set. 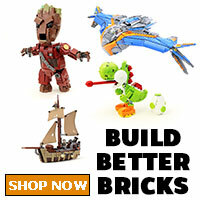 It contains 962 pieces and retails for $69.99. 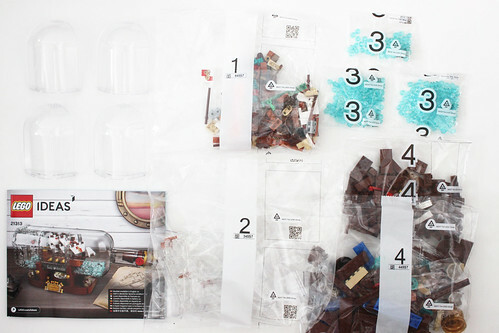 As I mentioned in my unboxing of the set, there are seven bags that are number 1-4, four loose trans-clear window pieces, and the instruction booklet. 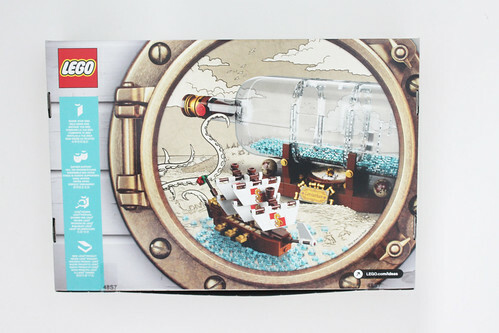 The set is separated into three different builds, the ship, bottle, and stand and we’ll take a look in-depth look at those individually. 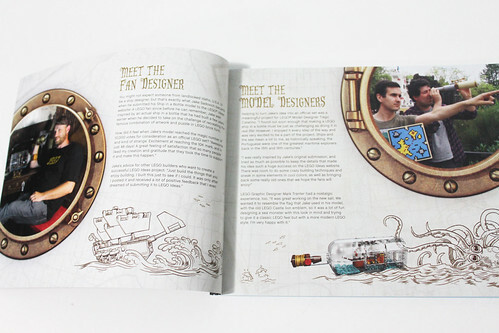 As with other LEGO Ideas sets, the front of the instructions have some pages dedicated to talking about the fan designer Jake Sadovich and the LEGO designers Tiago Catarino and Mark Tranter. The ship is aptly named the Leviathan. 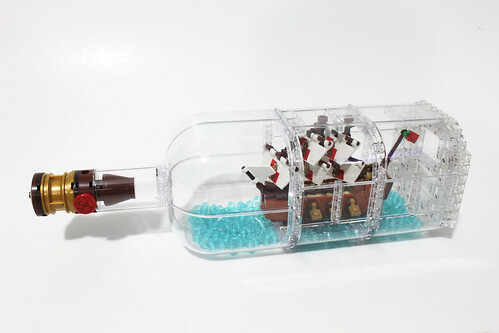 This version of the ship has been changed to fit the smaller profile of the bottle. The bow of the Leviathan has more of a flatter shape than the original model which had more of an angular bow. The sides of the Leviathan are fitted with cannons that are basically some black 1×1 plates with a shaft that stick through some gun ports which are some pearl-gold 1×1 clips. The stern has a similar look as the original with the angled design. Like before, it uses some sloped grill pieces to achieve the look. This area also holds the captain’s quarters which we really can’t see. On the main deck of the Leviathan, there is a white wing piece at the bowsprit. It connects to the ship using a hinge clip and this part annoys me a lot. 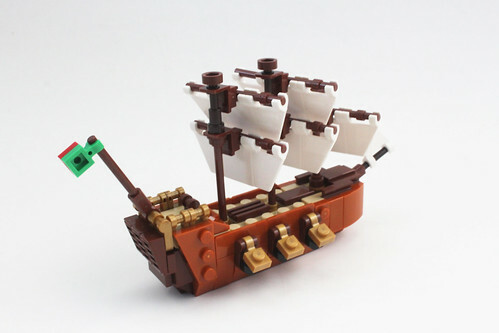 There’s a 1×2 brown tile piece that is used to cover it up but there’s only one stud for it to sit on which makes it easy to pop off if the bowsprit is raised up for whatever reason. Behind that are three masts that have printed sails on them. The foremast is the shortest of the three and they all have a crow’s nest on the top of them. 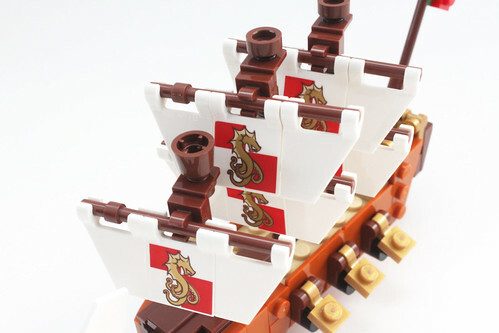 The printed sails are on the flap pieces which feature a sea monster that has a dragon head and octopus tentacles on the lower part of the body. 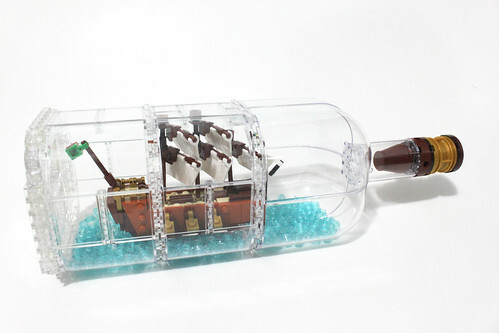 The bottle is 95% made of trans-clear parts to make its shape. 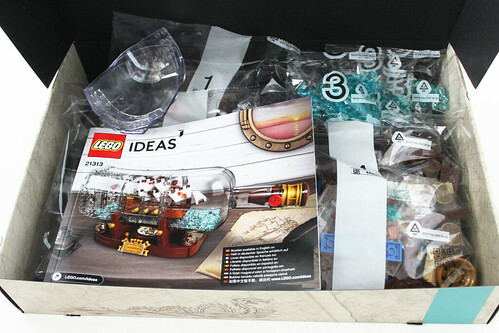 There are a lot of 1×2 plates as well as a number of headlight bricks. 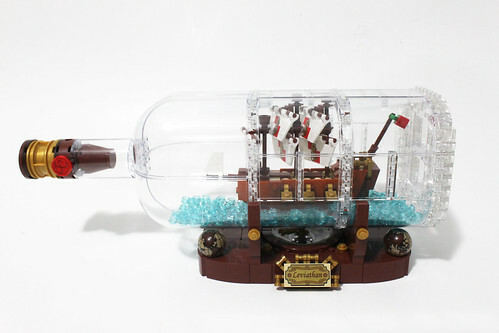 The bottom of the bottle is the most labor intensive part has it requires you to use a lot of the headlight bricks, plates, and 1×1 bricks to create the textured look. 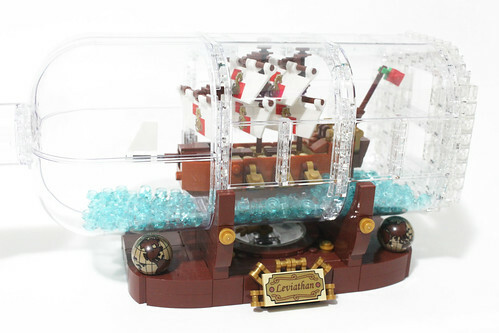 The rest of the bottle uses some 4x4x6 window pieces along with some 1×4 windows, 1x2x2 windows, and the return of the Paradisa style windows for the upper part of the bottle. 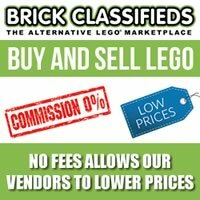 The neck of the bottle uses just a couple of curved window pieces and the cork is basically various parts stacked on top of each other with a long axle piece going through them for stability. 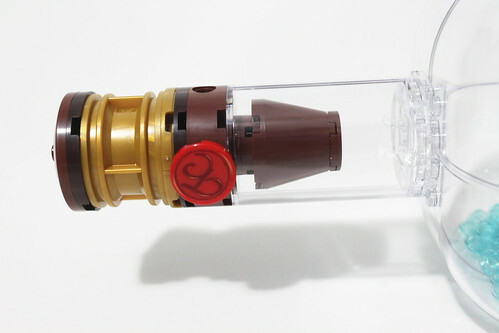 The red 2×2 printed wax seal has the initials of Tiago Catarino to make his mark on the set. 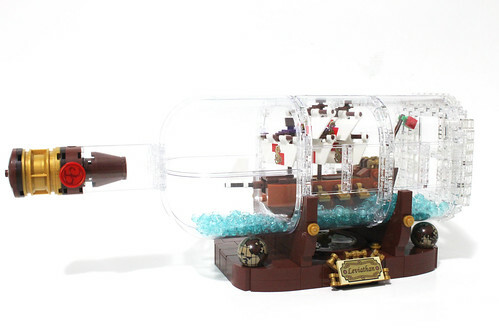 Inside the bottle is a spot that is created using some 1×2 plates and the headlight bricks along with some dark orange jumper plates for the Leviathan ship to sit on. 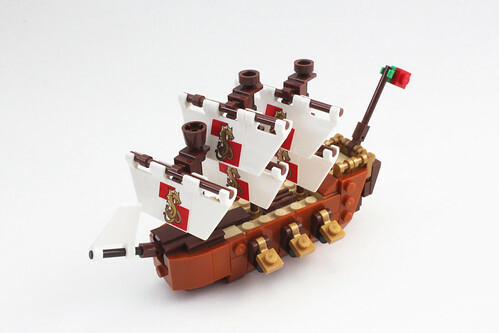 This is a part of the build that I didn’t like as much because the ship fits into the spot very tightly and is somewhat finicky to get aligned correctly. 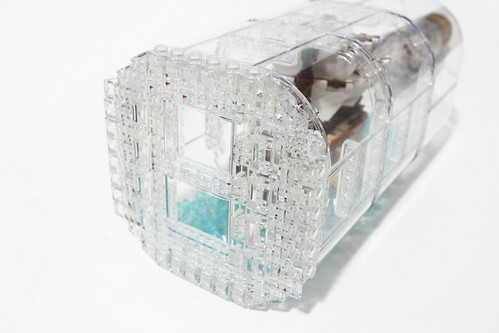 For Bags 3, there are three of them which are filled with 1×1 trans-light blue studs. I’ve actually took the time to count them and there are 289 total studs in the three bags. Two bags have 120 each while the smaller one has 49. The instructions tell you to dump 284 of them into the bottle. If you don’t want to count them, you can either just remove five from the total or dump them all in which I did since you probably won’t know the difference. 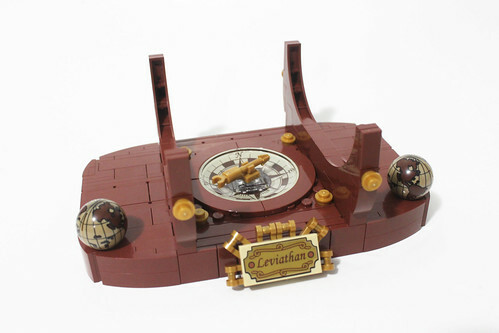 The last part of the build is the stand for the Leviathan. There’s nothing too complicated about it as you are basically just stacking plates. It also uses some angled plates to give off the illusion of bulkiness. At the center of the stand, there’s a printed dish piece of a compass but instead of the printing on the outside, it’s actually on the inner part. 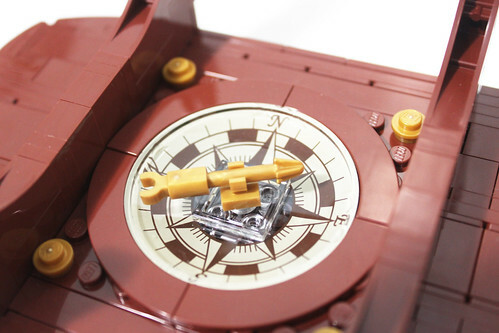 This allows for a transparent look of the compass and a somewhat spinnable compass needle. It’s kind of tight and doesn’t freely spin as much as I thought when you flick it. 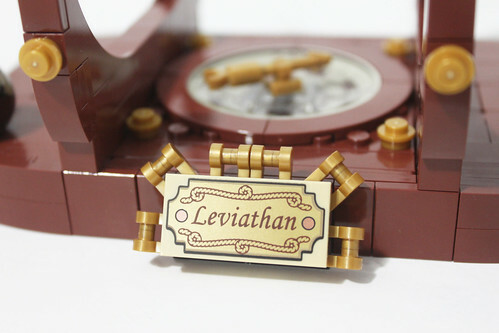 The front of the stand has a printed 2×4 tile of the Leviathan that sits at the center. 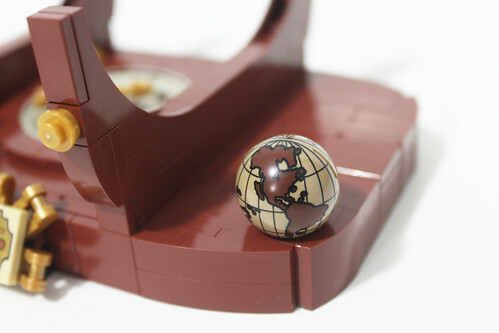 On either side, there are some printed globes that goes over a purple minifigure head that allows it to spin freely, moreso than the needle. There are four bow pieces for the ship to rest on. I do like the SNOT technique that is used throughout the whole stand to give it the smooth look. 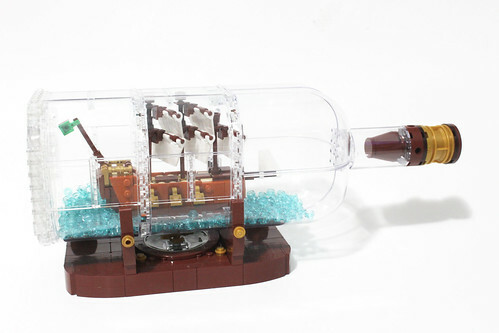 Overall, the LEGO Ideas Ship in a Bottle (21313) is a mixed bag for many but for me personally, I like it to a degree. I love the concept but the execution wasn’t completely there. The main thing is the change in the Leviathan which influenced other changes in the set. 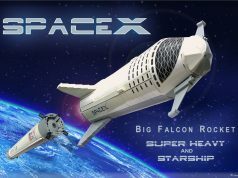 It’s actually smaller now and the style of it has changed from a majestic imperial flagship to a sort of a barge ship with sails. 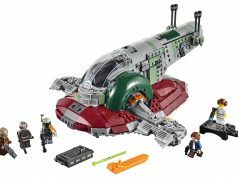 Going by the comments from a number of forums and websites, the small Leviathan is a main turnoff for many and if people do get the set, they’ll most likely making changes to the ship. 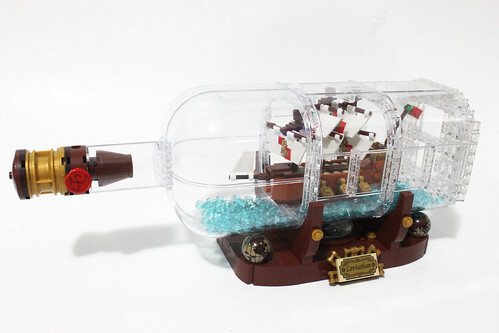 As I mentioned earlier, the smaller ship in turn made the bottle smaller as well. 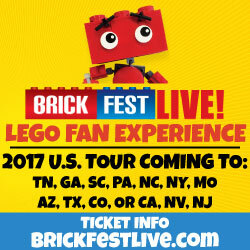 It doesn’t look too bad and I do like the overall shape of it. The only gripe I have is the bottle neck which is very fragile. There is only the 4×4 round plate that goes on the window pieces and when you press down on it, it feels like you’re bending the windows which you don’t want to be doing. The stand is probably my favorite part of the set as it has a very stylish vintage look to it. I do like the fact that it that it’s studless all around except for the decorative parts. As far as playability is concerned, there is none. 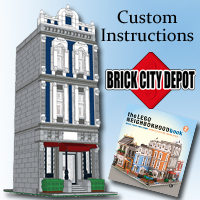 This set is specifically designed to be a display piece. 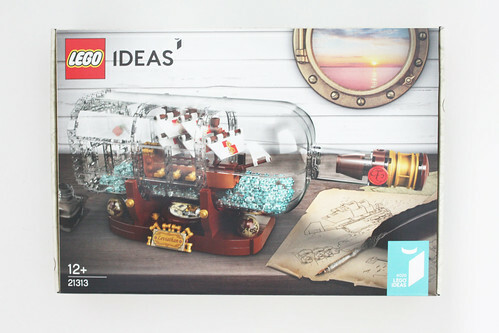 The LEGO Ideas Ship in a Bottle (21313) is now available for purchase at LEGO Brand Stores and on [email protected] I hope this review was helpful if you were still on the fence about picking it up.